It’s 1938 and the world is about to erupt in flames. Having taken all they want in China, the Japanese are making plans to move into Southeast Asia and Indochina in order to secure the raw materials – mainly oil – that their military and civilian economy so desperately needs. America still supplies much of Japan’s raw material, particularly oil and steel, but the American public has turned against Japan, appalled at its conduct in places like Nanking. The relationship is getting shaky. Adolf Hitler rules much of western Europe and his appetite is growing. He’s reoccupied the Rhineland, annexed Austria and the Czech Sudetenland and he’s now making noises about Danzig and a Polish corridor. France and England are keeping a nervous watch. War preparations are underway but each party is hoping negotiations will settle things down. The classic French offensive spirit so frequently displayed during WWI has been flushed from the psyche of the government and military. France sets its faith in its defensive strength as demonstrated by the Maginot Line. A few isolated voices within the French Army, such as a young colonel named Charles DeGaulle, cry ‘attack!’ but to no avail. In England there is a strong undercurrent of pro-fascist sentiment among the upper class. Hitler may be a crude chap, but at least he knows how to knock heads together and get things done. In the salons of London there’s a lot of admiration for how the Nazis have restored order, fixed their economy, eliminated labor problems and unified the German people. Only Winston Churchill, still in political exile, isn’t fooled. He knows Hitler can’t be trusted. Events are about to prove him right. In the United States the President, his senior military staff and a minority of political and business leaders are increasingly concerned. America can look out from both shores and see growing threats. Roosevelt still hopes America can avoid war wherever it starts. He also knows that after two decades of neglect both the Army and Navy are in sorry shape and if war does come the nation will be unprepared. The Army Chief of Staff General Malin Craig and his new deputy, the fast rising Brigadier General George C. Marshall, are convinced war is coming. Marshall can feel it in his bones. His experience tells him that the US will have at least a peripheral role in events, but more likely will end up leading the effort if France collapses and England finds herself under siege. If France and England both collapse he knows America will be western civilization’s only hope. Marshall also knows his Army is not ready for war. Too few Soldiers, too little equipment, too little training and worst of all, not enough funding. Congress as a group still has its isolationist head buried in the sand. Most view expanding the Army and the Navy as bellicose actions that will just invite trouble. Marshall knows we don’t need to invite trouble – it is already headed our way. Still, the Army does what it can with what it has. Much of the activity in the Army that takes place in the late 1930s right through 1941 can be categorized as ‘laying the groundwork’. Under the steady hands of both Malin Craig and then his hand picked successor Marshall the Army is reinventing itself. It casts off almost a century of old doctrine and force structure and emerges as a more agile, adaptable fighting force that emphasizes speed, firepower and flexibility. By leveraging modern advances in mechanization, radio communications and weaponry the US Army will step onto the battlefield in North Africa in 1942 as a lethal fighting force and in less than two years will be ready to take on the mighty German Wehrmacht on its home turf. Part of this ‘laying the groundwork’ involves revamping virtually all the training the common Soldier will receive. General Marshall has great faith in the American fighting man; he knows that the average American youth had the smarts, the initiative and the aggressive spirit necessary to defeat any enemy. He just has to be properly trained. The Army launches on a program of training development that dramatically changes how most topics are presented. The emphasis is on fundamentals and simplification. The Army is developing the new methods necessary to quickly and effectively train up millions of draftees and in less than a year launch them across the oceans ready to fight. Everything from close order drill to aircraft maintenance gets a revamp. One of the many topics that gets a dramatic make-over is map reading. 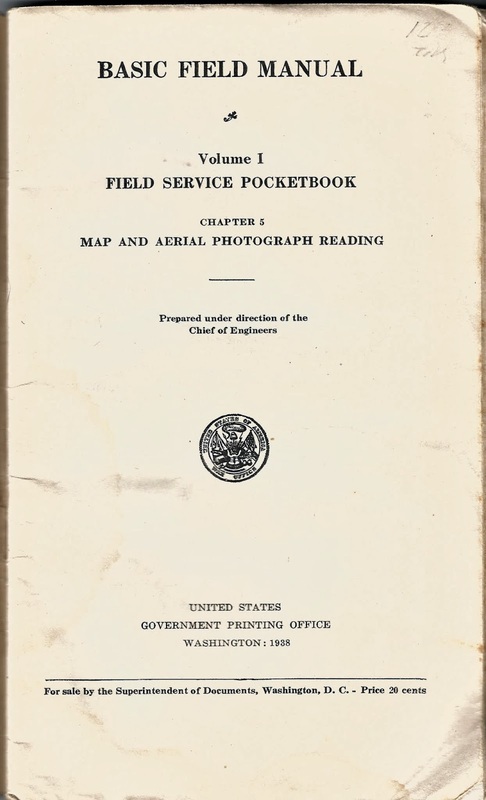 Prior to 1938 map reading and land navigation were viewed as highly technical topics that were best left to officers or exceptionally bright non-commissioned officers. 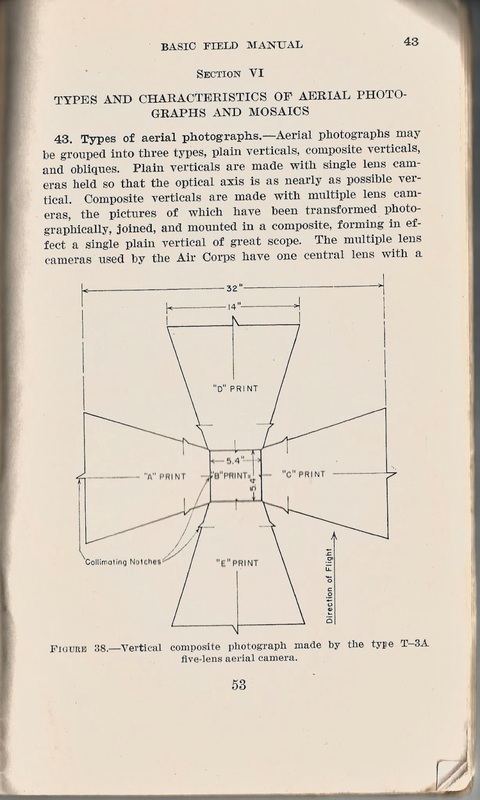 Surely the average enlisted man was too dull to grasp the complex concepts of magnetic declination, interpreting landforms from contour lines, plotting coordinates and determining scale. Best to leave these tasks to the better educated officer class. But the new Army emerging in 1938 is much different. Newly minted small unit leaders – all the way down to the squad leader level – are entrusted with much greater responsibility and freedom of action. In the newly mobile, hard hitting modern Army even the lowly Corporal will have the authority to plan operations, call in supporting fires, lead reconnaissance teams and conduct movements to contact. This means that every common Soldier must be taught the map reading skills necessary to get the job done right. That’s it. That’s all an experienced and educated Engineer officer needs to know. 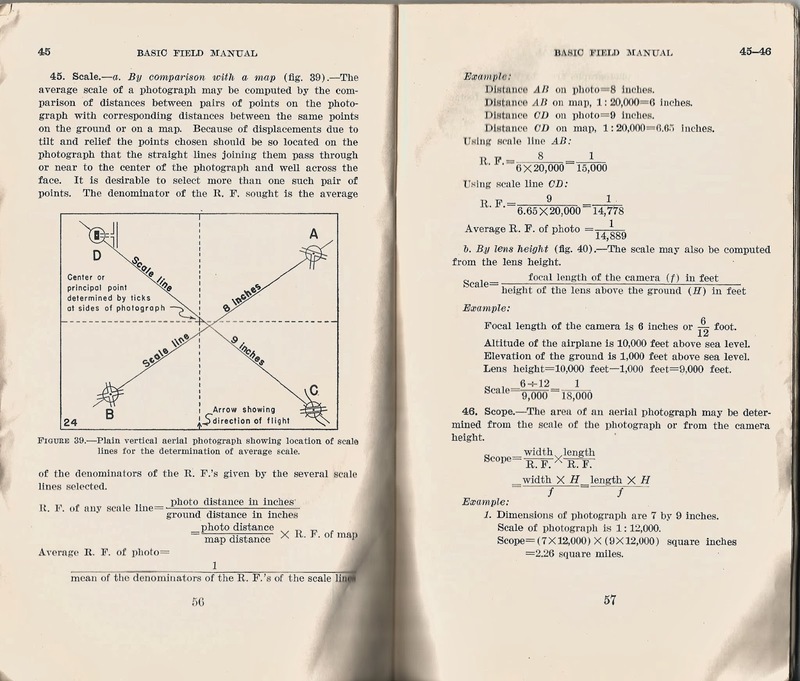 Starting in the early 1900’s and carrying on right up to just before WWI a number of private publications appear that deal specifically with military map reading, land navigation and field sketching. 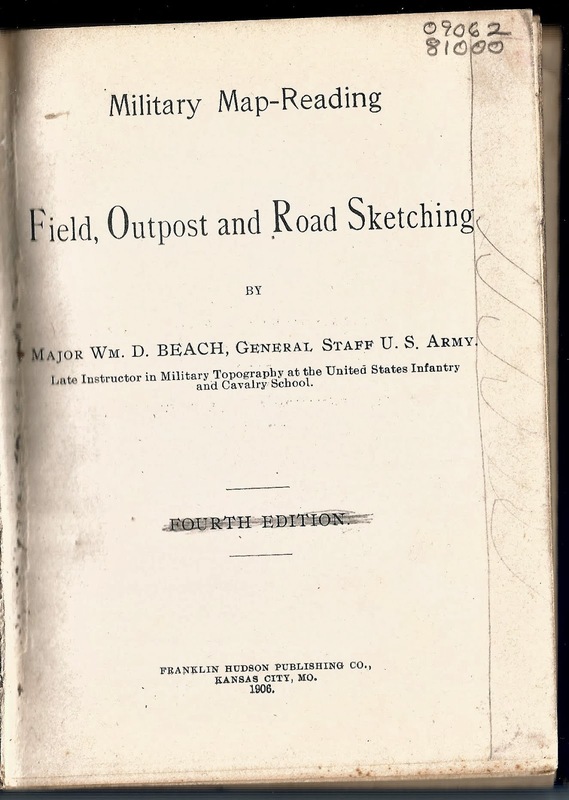 In this period field sketching is considered as important as map reading, and for good reason – military maps as we think of them do not yet exist and a unit has to quite literally map its own way to battle. 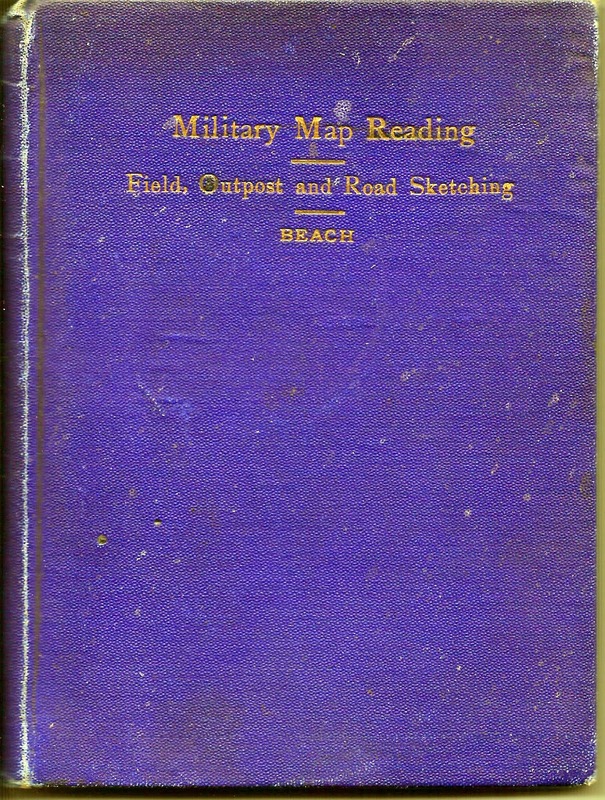 Titles such as ‘Military Map Reading; Field, Outpost and Road Sketching‘ (1908) by Major William Beach, ‘Elements of Military Sketching and Map Reading‘ (1917) by Captain John Barnes and ‘Military Map Reading‘ (1909) by Captain C.O. Sherrill seem to have filled a recognized need for a dedicated map reading manual. In fact, Sherrill’s book was adopted by the Army Service Schools at Fort Leavenworth as a standard instructional text. I’m sure copies of these books found their way into the haversacks of hundreds of Regular Army, National Guard and state militia officers. 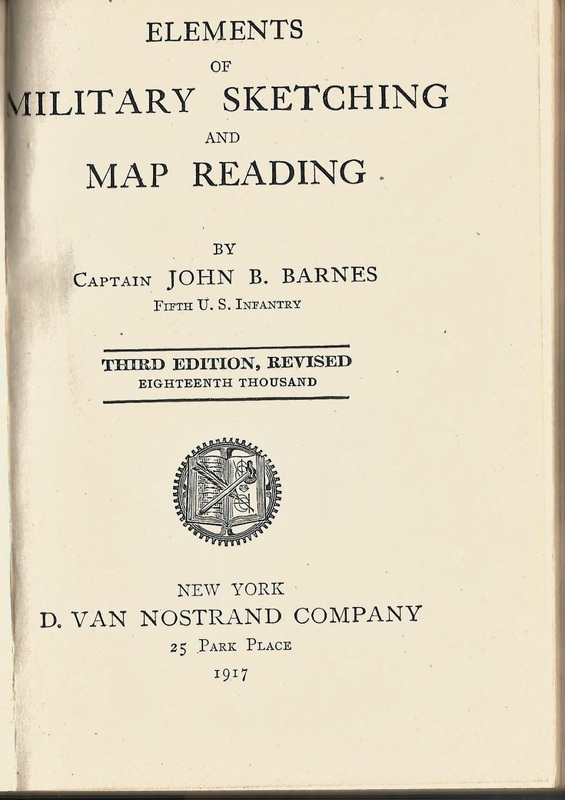 Between the wars the Infantry School at Fort Benning concludes that map reading is an important skill that needs to be simplified and standardized for presentation to the common Soldier. 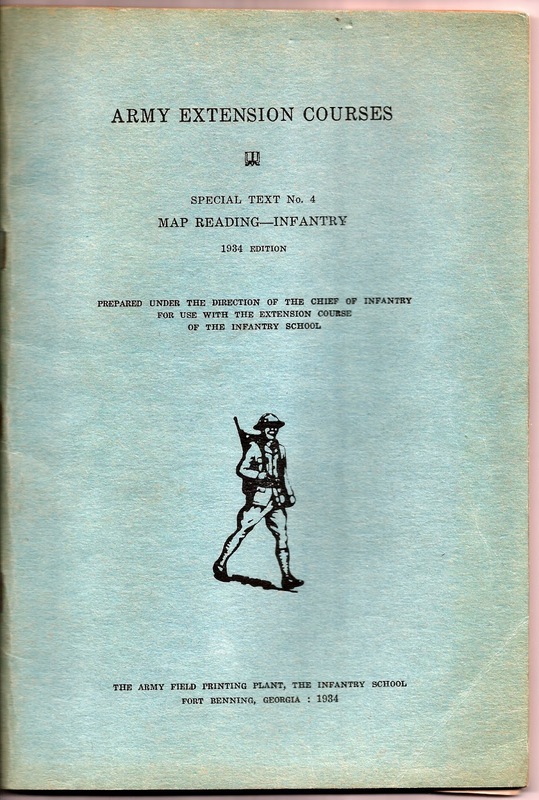 In 1934 they publish a map reading pamphlet as part of the Infantry extension course that presents map reading with a level of simplicity and clarity not seen in other map reading texts. 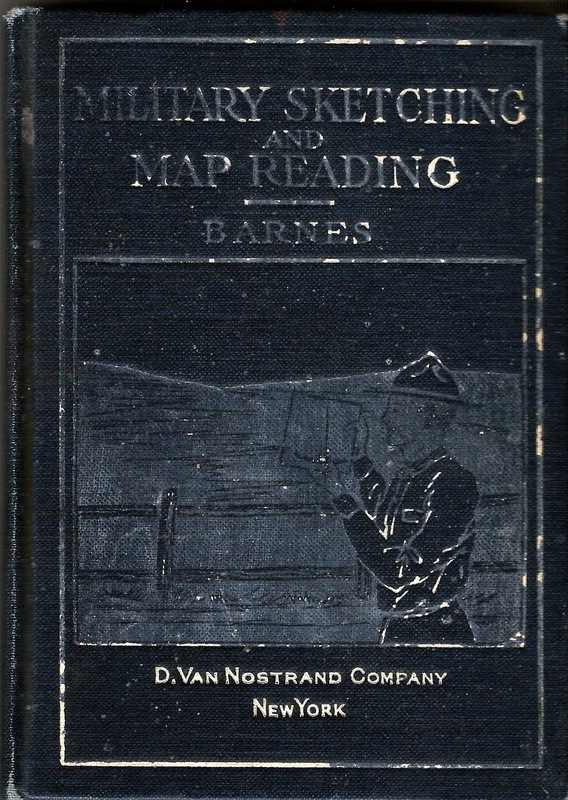 This pamphlet is perhaps as close to a standard map reading manual as the Army develops prior to 1938. But still, it’s just an Infantry School text and it’s not Army doctrine. By 1937 the Army realizes it needs to get serious about map reading as a skill for the common Soldier. The impetus comes from the Infantry School, which is the catalyst for much of the change we see in the Army at this time. The Infantry School realizes a large draftee Army will need standardized map reading and land navigation skills, a standard magnetic compass and standardized maps against which these skills can be taught and implemented. Even more important, the entire Army operational framework will be built on these skills. Maps are the fundamental tool for all Army operations. The success of operations such as plotting friendly locations, calculating movement, calling for fire support, planning river crossing operations, siting field hospitals, locating airfields, establishing unit boundaries, placing communication nodes, reporting enemy locations, etc. all depend on standardized maps and map reading procedures. When a Private in an observation post spots an enemy column approaching he picks up his radio and reports the activity to his platoon leader. As the two of them discuss coordinates, direction of movement, road intersections and fields of fire they both need to be looking at the same map and speaking the same map reading language. So it is all the way up the Army organizational structure. But the Army still considers map reading an Engineer skill. 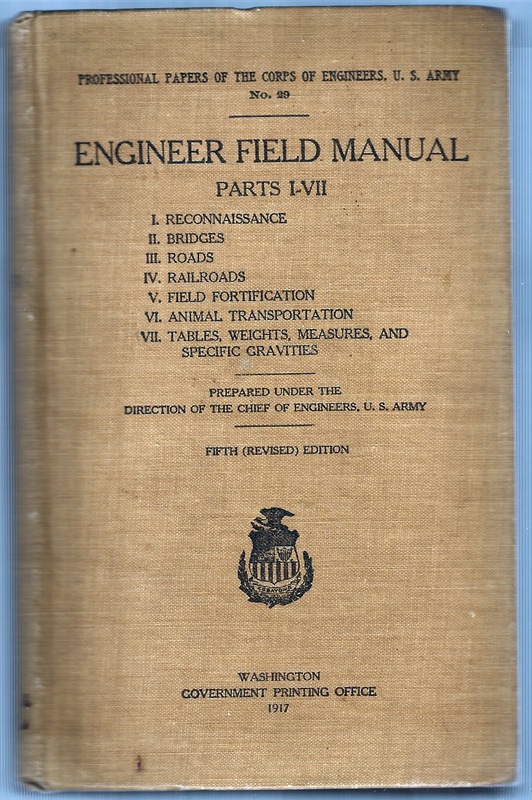 The Infantry School may have written a crackerjack manual for its own use, but the job of writing a manual for the entire Army falls to the Engineer School. In 1937 they get the job and the first dedicated Army publication that deals with map reading is issued in April 1938. 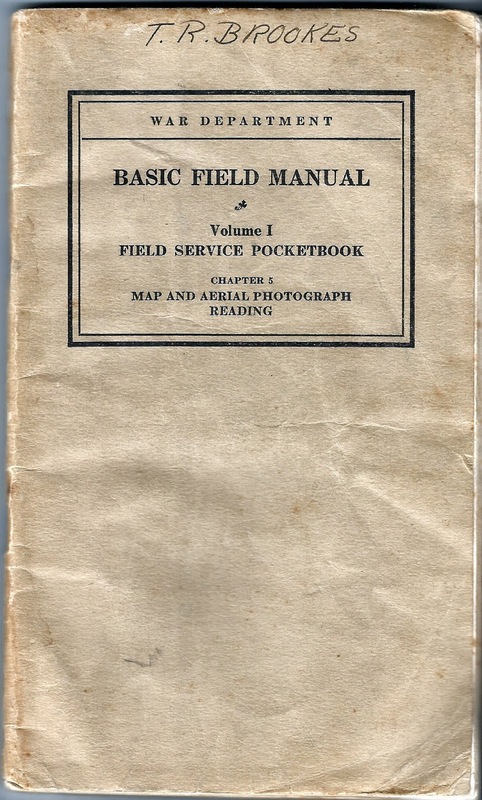 It is titled ‘Basic Field Manual, Volume 1, Field Service Pocket Book, Chapter 5, Map and Aerial Photograph Reading‘. 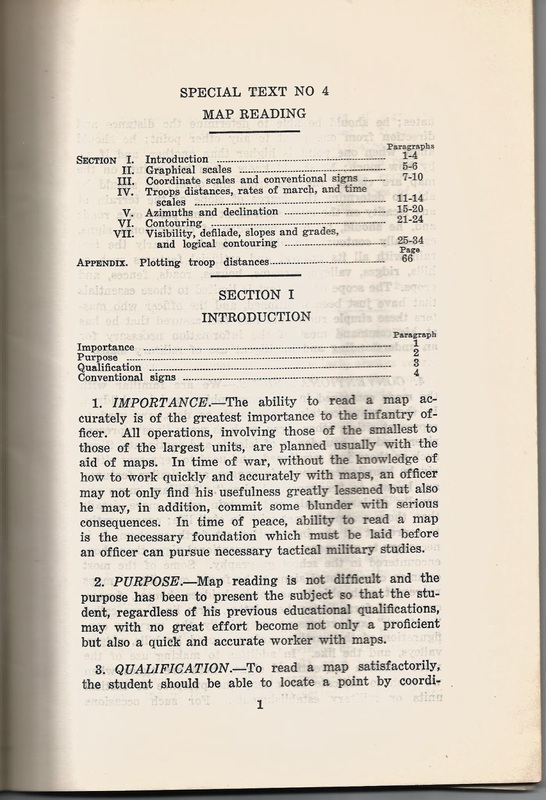 In this manual we see reflections of the Army and the nation as it is in 1938; there is absolutely no discussion of foreign maps or possible operations on foreign soil, even references to map problems based on WWI experience in France. Everything is referenced to the continental US. Let’s have no discussion of possible operations on foreign soil! Yet in this manual we also see glimpses of the future. The new tactical map layout and its use of a standard grid as shown in Figure 1 would be immediately recognizable to every dogface carrying a folded map in his pocket in 1944. By omitting any discussion of field sketching and spending more time discussing availability of various types of maps the Army seems to be indicating that it understands the need to supply large volumes of standard maps to all levels of the field force – from the Infantry squad right up to Theater Army HQ. The creation of the Army Map Service and field topographic units won’t happen for almost another two years, but at least the Engineers recognize the problem. remains essentially unchanged even today. Most important, however, is the inclusion of a robust section on how to use aerial photos as map substitutes. It is clear that the Army sees the relatively new science of aerial photography as the key to ‘filling in the holes’ in areas of the world where good maps don’t exist, if they exist at all. The presentation is a little complex for a ‘basic’ field manual, but it shows that the Army is serious about incorporating aerial photography into its overall mapping program. This 1938 manual is best described as a work in progress. It will stand only until April 1941, when an entirely new manual, FM 21-25 (part of the ‘Basic Soldier’ series) is introduced. By that time America has moved closer war. George C. Marshall is now the Army Chief of Staff, Winston Churchill is Prime Minister of Great Britain, Germany has conquered France, Poland and the rest of Czechoslovakia. The Battle of Britain has been fought and won, the Battle of North Africa still rages and the Japanese are in the final planning stages for an attack on the Hawaiian Islands and a rapid expansion eastward across the Pacific and into Indochina to establish its ‘Co-Prosperity Sphere’. 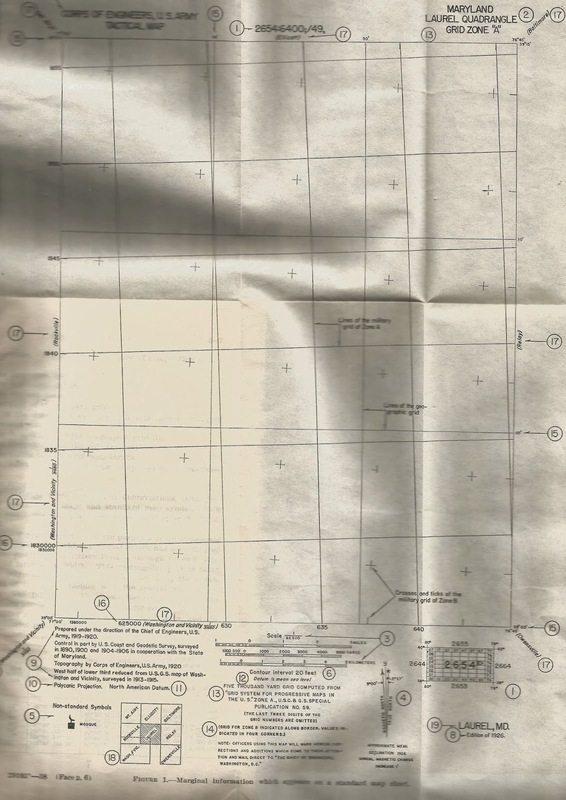 By 1941 the Army will have the new Army Map Service and corresponding Engineer field topographic units to survey and map entire theaters of operation and supply millions of copies of standard maps directly into the hands of soldiers on the battlefield. It will have a new standard lensatic compass produced in the hundreds of thousands that will find its way into the pockets of privates and generals. It will have hundreds of mapping aerial camera systems mounted in aircraft to expose hundreds of millions of linear feet of film over millions of square miles of territory to make maps and map substitutes. Most important, by 1941 the Army will have the standardized map reading procedures in place and ready to be taught to the over 8 million Soldiers that will be drafted, trained and deployed to battlefields across the globe between 1941 and 1945.